This text is an extract from Chapter 9 from the eBook “Office 365 for IT Pros”. This is an example of how we incorporate new events quickly into the publishing process and make new content available to readers. In this case, the General Availability of Office 365 Planner (announced by Microsoft on June 6 and covered in Chapter 10) served as a catalyst for the change in how policies control the creation of Office 365 Groups. We were able to test, assess, and document within a day and release new files to customers of ExchangeServerPro.com. 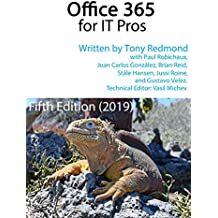 For more information about Office 365 for IT Pros, see ExchangeServerPro.com (for PDF and EPUB versions and some bonus material) or Amazon (for the Kindle version). Update (June 2017): Two things have changed since this blog was written. First, Microsoft has moved from the MSOL cmdlets in the Azure Active Directory PowerShell module V1 to the AzureAD cmdlets in the V2 module. The commands used to manage the policy for Groups depends on which version of the module you use (Microsoft’s version for V2 is here). Second, The fourth edition of the Office 365 for IT Pros eBook is now available. This version includes updated information about the policy to control groups along with lots of other information. In November 2014, OWA was the first client to support Office 365 Groups. It was therefore logical that the developers chose to add a new setting to OWA mailbox policies to limit the creation of new groups. When a user attempts to create a new group, the setting (GroupCreationEnabled) contained in the OWA mailbox policy assigned to the user’s mailbox is checked. If the setting is $True, creation is allowed. Conversely, if the setting is $False, creation is blocked. Remember that a tenant can have several OWA mailbox policies active at any time, so it is quite normal to have an OWA mailbox policy that allows all options, including group creation, and others that are more restricted. OWA mailbox policies are applied to mailboxes by editing their properties through the EAC or by running the Set-CASMailbox cmdlet. The downside of using an OWA mailbox policy is that it is a method specific to Exchange Online, where it is used to control the options available to users in the OWA client. As time went by and integrations with Office 365 Groups appeared that had no relationship with Exchange, the fact that OWA mailbox policies exist was ignored and any user was able to create new groups through these integrations. This is true for Power BI, Dynamics CRM, and Office 365 Planner, and when new groups are created with PowerShell. Clearly, a new answer was required. The General Availability of Office 365 Planner on June 6, 2016 provided the opportunity to change the control mechanism to a policy stored in Azure Active Directory. The advantage of this approach is that Azure Active Directory provides a central point that all Office 365 applications can check. After a suitable policy is created, control over the creation of new Office 365 Groups is consistent everywhere. That is, once applications have been upgraded to use the new approach. Follow these steps to create and implement a suitable Azure Active Directory policy to control group creation. Create a group containing the set of authorized users: Azure Active Directory needs to be provided with a set of users who are allowed to create new Office 365 Groups. To define the set, you create a new group using the Office 365 Admin Center, PowerShell, or the Azure Active Directory console. The group can be a distribution group or an Office 365 Group. Next, you need to retrieve the object identifier (ObjectID) for the group that contains the set of authorized users. The PowerShell module for Azure Active Directory uses GUIDs to identify directory objects instead of display names. You can run the Get-MsolGroup cmdlet to access the object identifier for the group, but it’s easier to retrieve the information using the Azure Active Directory console to view the properties of the group (see screenshot). The object identifier is the last field shown for the group properties. Note the Copy icon to the right of the object identifier. Click this to copy the value of the object identifier to your clipboard. Use PowerShell to update the Azure Active Directory policy: Open a PowerShell session and execute the commands shown below. The commands identify the template that you want to use to create the new directory settings object that will govern group creation for the tenant, and then identify the group containing the set of users who are allowed to create new Office 365 Groups. The object identifier for the template you’re updating is consistent across all tenants. You can see that the object identifier supplied to update the template is the one copied from the group properties as shown in the screen shot. [PS] C:\> $Setting[“GroupCreationAllowedGroupId”] = "a3c13e4d-7083-4448-9224-287f10f23e10"
Alternatively, you can use the Microsoft Graph Explorer to check the settings. Log in using your tenant account and enter https://graph.microsoft.com/beta/settings into the navigation bar and “beta” into the drop-down option list on the right-hand side. You should then see a set of settings data returned, including the values for the Object Id of the group containing the set of users who are allowed to create new Office 365 Groups and the setting that blocks general creation. Test that the new policy works: A user who is included in the authorized user group should be able to create new Office 365 Groups from the integrated applications (Planner, Dynamics CRM, and Power BI), and the Outlook Groups mobile app. A user who is not included should see an error message if they attempt to create a new group (something like “The group couldn’t be created. Your admin hasn’t given you permission to create a new group”). It will take a little time for all of the applications and clients to fully support the new method and provide the necessary UI and that time will differ from tenant to tenant depending on the release cadence they follow. In particular, the MSI version of the Outlook 2016 desktop client will take time to be updated and then deployed to client desktops. However, the old OWA mailbox policy method continues to work for OWA and Outlook until superseded by the new method. This entry was posted in Cloud, Office 365, Office 365 Groups, Uncategorized and tagged Azure Active Directory policy, Controlling group creation, Office 365 eBook, Office 365 for IT Pros, Office 365 Groups. Bookmark the permalink. Thanks Christophe.. I never knew you were a PowerShell guru…. Have updated text. Thanks for posting about this new feature. I followed the steps and it worked like a charm. Hopefully Microsoft makes some further progress on controlling and managing the Office 365 Groups that I’ll turn this off. I feel like you must have done some serious digging on technet to find all this new info that probably no MS first line of support will know about. I know a few people at Microsoft who are kind enough to help me document this kind of information. I have a problem where someone followed this but did not populate the ID for GreoupCreationAllowedGroupID, so essentially I have an odd problem where i can see the tenant level get-msolallsettings with enablegroupcreation set to false, butgroupcreationallowedid is blank. When I re ran with the ID it tells me there is a conflicting object in the directory. Which is probably the default Azure AD. How Can i reset it so that I can target just the group ? Why don’t you update the AAD directory setting object with the pointer to a valid DL/group containing the list of permitted users? I was trying this and it really gave me a hard time. In the end i deleted the setting completely and then added the correct group settings. I tested it this morning and it worked fine.Thanks. Thanks so much Tony for putting up this blog, our users and middle managers are much happier. Run Remove-MsolSettings to remove the settings object and you’ll revert to the previous situation. OWA and Outlook use OWA mailbox policies to control group creation. I’d check there. So it should work, i can create groups from planner which is correct but why OWA alone is blocking me is really strange ? Started Working correctly now, without me making changes !!! OK, now I am back at a computer where I have the V1 MSOL cmdlets installed and can look at the issue more deeply. Well, I have just done that on my system and it works fine. The $Policy variable ends up correctly populated. The version of the AAD PowerShell module I am using is 1.1.130.0. What are you using? Another version of the commands is at https://drewmadelung.com/managing-office-365-group-creation-via-azure-ad/. These are validated with 1.1.140, so you could try them. it says it’s version 1.0.9031.1. This is from the link you provided in the article. I’ll see if I can download a newer version and follow your steps or the ones from the article you referenced. You absolutely need at least 1.1.130 to get the cmdlets to work. Well, it looks like the 1.1 versions of the AD Module that are still available for download don’t have access to these cmdlets.